The Energy Institute (EI) is the chartered professional membership body bringing global energy expertise together. Our ambition is that energy, and its critical role in our world, is better understood, managed and valued. The global energy industry, the people working in it and wider society all benefit from the EI’s work. We’re a unique network with insight spanning the world of energy, from conventional oil and gas to the most innovative renewable and energy efficient technologies. We gather and share essential knowledge about energy, the skills that are helping us all use it more wisely, and the good practice needed to keep it safe and secure. We articulate the voice of energy experts, taking the know-how of around 20,000 members and 250 companies from 120 countries to the heart of the public debate. And we’re an independent, not-for-profit, safe space for evidence-based collaboration, an honest broker between industry, academia and policy makers. The EI is here for anyone who wants to better understand or contribute to the extraordinary energy system on which we all depend. Energy defines modern life. It lights, heats and cools our businesses and homes, it gets us from A to B, and it is increasingly safe, sustainable and reliable. But the story of energy is only part told. Shifting to low carbon at the same time as opening up access for the world’s growing population is one of the most pressing challenges facing humanity. We're proud of our members and partners, which is why our corporate film is all about them. Jaz, David, Robert, Kenny, Rose, Andy and Vivien work in different parts of the energy system and in different parts of the world, but they have one thing in common - they are some of the ingenious professionals making all this possible. A registered charity, incorporated by Royal Charter in 2003, the EI is licensed by the Engineering Council (UK) to offer Chartered, Incorporated and Engineering Technician status to engineers, and by the Society for the Environment to award Chartered Environmentalist status. The EI was set up in 2003 as a result of a merger between the Institute of Petroleum (IP) and the Institute of Energy (InstE). Both Institutes had a proud and distinguished heritage developed over many years supporting their particular energy sectors. Increasingly these sectors have converged, creating an integrated global energy market which has been mirrored by the development of the Energy Institute - established to address both the depth and breadth of the subject. Malcolm Brinded brings with him a wealth of experience and insight from a global career spanning 38 years at Royal Dutch Shell, including a decade on the main board as Executive Director for Upstream International and for Global Exploration and Production. He was previously Managing Director for Royal Dutch Shell and Shell UK Chairman and remains a trustee of the Shell Foundation. He is a Fellow not just of the EI, but also of the institutions of Civil and Mechanical Engineering and of the Royal Academy of Engineering, and is an Honorary Doctor of Aberdeen and Robert Gordon Universities. He is also Chair of Engineering UK and was awarded a CBE in the 2002 New Year’s Honours list for services to the UK oil and gas industry. Steve Holliday is the former Chief Executive of National Grid plc. He is Non-Executive Chairman of Zenobe Energy and Chairman of the Board of Trustees at Crisis, the homeless charity. He volunteers his time as Vice Chairman of the Careers and Enterprise Company, Vice Chairman of Business in the Community and as President Elect of the Energy Institute. Steve joined National Grid Group as the Board Director responsible for the UK and Europe in March 2001, becoming Chief Executive of the company in January 2007, which he led for almost 10 years, until 2016. Prior to joining National Grid, he was on the Board of British Borneo Oil and Gas and was responsible for the successful development of its international businesses in Brazil, Australia and West Africa. Steve spent much of his early career with Exxon, where he held senior roles in refining, shipping and international gas. Steve is a Fellow of both the Royal Academy of Engineering and the Energy Institute. From 2012 to 2014 he was also appointed as a National Ambassador for HRH The Prince of Wales. Steve holds a BSc degree from Nottingham University and honorary doctorates from Nottingham and Strathclyde universities. His sporting interests include following the fortunes of the England Rugby team. Bernie Bulkin is a leading voice on energy and environmental issues, in business, non-profits, and Government. He is a director of private equity firm Ludgate Investment Limited, Executive Chairman of K3 Energy and K3Solar Ltd, developing solar projects in Nigeria, an independent director of ATN International (NASDAQ ATNI) doing solar projects in the US and India, and a director of Sustainable Power Ltd, developing micro CHP for the UK market. He is a member of the FTSE Environmental Markets Advisory Committee, and is a Senior Partner with management consultancy Re.fresch. He is a Vice President of the Energy Institute. 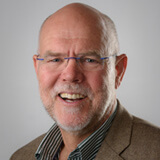 Bernie has served as Chair of the UK Office of Renewable Energy (2010-2013), and has had several other UK Government roles on sustainable energy and transport. He was a venture partner of Vantage Point Capital Partners from 2004-2014. He is Emeritus Professorial Fellow of Murray Edwards College, University of Cambridge, and is on the Editorial Advisory Board of Energy and Environmental Science. Dr Bulkin was formerly Chief Scientist of BP. Vivienne Cox is Chairman of Vallourec. She is Senior Independent director at Pearson plc, a Non-Executive Director with GSK and with Stena International AB. She has been the Lead Independent Director at DFID since 2010, and was on the Airports Commission. Vivienne worked for BP for 28 years. Her last full time role with the company was as Executive Vice President of the Gas Power and Renewables segment. A graduate of Oxford and INSEAD, she is a Vice President of the Energy Institute, and a member of the Trilateral Commission, and on the Advisory Boards of SAID Business School and the African Leadership Institute. Mike began his career with Dow in 1968. During his 34 years there, he was based in the US, the UK, Switzerland and Hong Kong. He became President and Chief Executive Officer of The Dow Chemical Company in Midland, Michigan, USA in 2000 and a member of the company’s Board of Directors from 1995 to 2003. He was subsequently appointed Group Chief Executive of British Nuclear Fuels (a manufacturer and transporter of nuclear products) from 2003 until 2009. He is currently Senior Independent Director of PV Crystalox Solar plc as well as Chairman of the Audit Committee, the Remuneration Committee and is a member of the Nomination Committee. He is also currently Senior Independent Director of Laird plc as well as Chairman of the Remuneration Committee and a member of both the Audit and Nomination Committees. His previous directorships with quoted companies include Invensys plc and SNC-Lavalin in Canada. Mike is involved with a variety of charities and not-for-profit organisations - Street League, a national charity that utilises football to engage with inactive 16–25 year olds, as Chairman; the Royal Society for Prevention of Accidents (“RoSPA”) as Chairman and is a Trustee and Honorary Secretary of the Energy Institute. He is also a Non-Executive Director and Strategic Advisor on the Management Board at the Metropolitan Police and a member of the Alliance Manchester Business School Advisory Board as well as Chairman of the AMBS MBA Advisory Committee. Mike previously was Chairman of Liverpool's economic development and regeneration company, Liverpool Vision and remains involved in the International Festival of Business Events in Liverpool. Mike was awarded a CBE in the New Year Honours 2009 for services to the energy industry and in 2014 awarded the Citizen of Honour for the City of Liverpool. Belinda Mindell is a Fellow of the Institute of Chartered Accountants in England and Wales and an honours graduate of the London School of Economics. She trained and qualified with KPMG and for the past 23 years has worked in various Fred. Olsen related companies. Belinda began her career in the onshore wind industry in 2000 when she helped set up Fred. Olsen Renewables Ltd. Fred. Olsen Renewables became the largest independent generator of wind power in the UK with 447MW of operational capacity. Belinda continues to guide and develop companies within the renewable energy industry. She is now the Chief Financial Officer of Fred. Olsen Ltd which has invested heavily in the construction and development of a wave energy device. It also owns 4 hydro schemes being the largest single block of hydros privately owned in Scotland. As well as this she is currently a Director of the Natural Power Consultants, a global renewable energy consultancy, Zephir Ltd, which delivers industry leading remote wind measurement systems including wind lidar and wind measurement campaigns and SeaRoc Ltd which supplies a marine management and monitoring tool to ensure safe and efficient project operations for the offshore renewables sector. She has been the Honorary Treasurer of the Energy Institute since June 2014 and Chair of its Finance and Audit committee. Dr. Ibilola Amao is the Principal Consultant of Lonadek. She is an alumnus of Manchester Business School, Bradford University and Queen Mary College, University of London. A member of the Governing Council of the Energy Institute (EI), UK, Board of New Partnership for Africa's Development (NEPAD) business group, PennWell Offshore West Africa Conference, Engineering Practice and Resource Development, Nigerian Society of Engineers (NSE) and Chairperson of the Lagos State Technical and Vocational Education Board – Industry Advisory Team. Ibilola is a Vital Voices VV GROW, VV 100 Fellow, VV Global Ambassador Programme (GAP) 2017 Mentee, WeConnect International Fellow, IWEC Awardee, Energy Institute Energy Champion 2016 and Access Bank “W” 100 Awardee. She is involved in Women empowerment activities with WimBiz and a firm believer who pays it forward for national development and socio-economic transformation. Lonadek: is a multi-award winning ISO 9001: 2008 certified Asset Sustainability Consulting Company focused on delivering value through Science Technology Engineering and Mathematics (STEM) focused activities. Since 1991, Lonadek has deployed successful community, supplier and human capital development initiatives. With operations in Africa, Europe and the Middle East, Lonadek is the preferred firm of Local Content Consultants that provides world-class services in Energy, Power, Infrastructure, Oil and Gas sectors in emerging economies. Lonadek delivers international certification courses in collaboration with= foreign partners such the Alliance Manchester Business School (AMBS), Institute of Leadership and Management (ILM) UK, PetroSkills Inc., AVEVA, Bentley Systems Inc., International Computer Driving Licence (ICDL) and lots more. John is a Chartered Engineer with over 30 years’ experience in teaching, research and practice. Formerly Chief Engineer with Carlsberg-Tetley Brewing, John has represented the Industry at national level to bring about significant reductions in energy utilisation. He is Director of the Scottish Energy Centre at Edinburgh Napier University where he has secured significant levels of external funding (EPSRC, TSB, FP7) helping to support innovative products, processes and supply chain initiatives across the Scottish SME sector. The main focus of his research interests include monitoring and modelling building performance and the development of novel and innovative renewable energy systems and successfully directed over 9PhD/MPhil completions and published over 50 refereed articles. John retains strong professional links with external organisations and is a Fellow, Member of Council, and Past Chairman of the Energy Institute, Chairman of the Energy Institute Accreditation Panel, Member of the Engineering Council - Engineering Accreditation Board, Co-Chairman of Scotland’s 2020 Climate Group and recently founded Retrofit Scotland. As well as chairing numerous academic accreditation panels both in the UK and abroad, John holds current External Examination posts with Heriot Watt University, London South Bank University and University of the Highland and Islands. Dr Boma Douglas is the immediate past Chair of the Energy Institute, London & Home Counties Branch. He is a Chartered Energy Engineer. He is an Assessor and Interviewer on the Membership Panel of the EI. He has a PhD and an MSc in Environmental Engineering. He is also a Civil and Structural Engineer with vast experience as Projects Engineer on multi story structures, rigid and flexible pavement construction. Dr Douglas has worked with governmental organisations and large corporate consultancies in the UK including WS Atkins. He is an expert in Energy Efficiency and Low carbon Technologies. He is the MD Operations in Willesden Global Ltd and a former Director of GBJ Engineering Consultants Ltd and Waste Energy Bio-Solutions Ltd advising international governmental agencies on Waste to Energy. He is the Chairman of the Central Association of Nigerians in the UK (CANUK) the umbrella body of all Nigerian Associations in the UK connected to the Welfare Section of the Nigerian High Commission. Dr Douglas had been on the Governing Board of Turney School in Dulwich and Archbishop Sumner School in Kennington. He is also the President of the Engineering Forum of Nigerians in the UK (EFN) and a Patron of Patron of Nollywood Entertainment Ltd UK ZAFFA and the Voice of Hope Foundation. He is a Trustee of several Charitable Organisations in the UK. He is a British and Nigerian Citizen with vast experience in Community support work. Andy Hadland is an energy engineer who now heads up development at Arenko, a leading battery storage owner operator in the UK. In the past he has led industrial and commercial engineering projects for blue chip clients; from deep retrofit energy efficiency rollouts, through to 85MWth/25MWe Biomass CHP installations behind the meter. He is a regular guest lecturer at Imperial College Energy Futures Lab on topics such as Thermodynamics, electric vehicles, and energy storage and is a passionate STEM Ambassador. He has keynoted National Instruments NI Week, been invited to speak at high-level roundtables with BEIS, and was part of a record-breaking team that designed and built an all-electric supercar – which then drove 26,000km from Alaska to Argentina. At the Energy Institute he was the founding Chair of the London YPN branch, and is passionate about improving the opportunities for young professionals within the sector. Now he sits on the EI Council where he is working to help develop the EI's offering and relevance to young professionals. A senior engineering professional with over 30 years’ experience working within the oil and gas industry, both within Operator and Oil Service environments, in the UK and Far East. Currently holds the post of Integrity Manager for Life of Field Subsea Services Europe with TechnipFMC, with previous roles including Pipeline Technical Authority, Project Manager and Engineering and Integrity Management Team Leads. He is passionate about Safety and Integrity and has an in-depth knowledge of Integrity Management, Process Safety Management, Hydrocarbon Release Prevention, Subsea Pipelines and Contract Management A Fellow of the Energy Institute and Chairman of their Scientific and Technical Advisory Committee (STAC). Jim has been a member of STAC for 12 years and actively involved in various EI and other industry workgroups. Alastair Robertson is a founding shareholder and director of OSL Consulting Engineers, which was formed in 2005. He has a BSc(Hons) in Chemical and Process Engineering from Heriot Watt University and became a chartered engineer in 1994. Since then he has become a Fellow of the Institute of Chemical Engineers in 2001 and has been a member of the Energy Institute since 1995. He has over 25 years of experience in the gas processing industry. He has an in-depth knowledge of the gas production business, having worked as a consultant for most of the gas producing companies in the UK. Alastair uses his knowledge and experience to provide clients with implemented solutions to a variety of challenges in their businesses. As the business director / owner he provides a hands on approach to business development with a can do attitude. OSL has developed from its two founder members to over 60 people in 12 years. As Winner of the Hull Daily Mail start-up business of the year in 2007 and small business of the year in 2008, Alastair is no stranger to achieving success and always strives to improve. Alastair has continued to develop the business with a focus on a different way of thinking “Clever Thinking” and has recently added a seventh hat to the Edward de Bono 6 thinking hats. He provides guidance and encouragement to the young professionals within the business and has set up company training schemes accredited by both the IChemE and IMechE. In recognition of this OSL are proud to have been awarded Silver Corporate Partner status by the IChemE and are working towards achieving gold. Through both the IChemE and the Energy Institute he also promotes a career in engineering to schools and universities thorough careers fairs, talks and work experience. He is a local committee member of the Energy Institute Humber Branch and also a trustee of the Energy Institute itself. An experienced Chartered Engineer with over 30 years of business, infrastructure and industrial experience. Paul Smith is the former Managing Director of Generation at SSE Plc, where he was responsible for the company's generation and gas storage portfolio in the UK and Ireland. A member of the SSE management board, he also chaired the SSE HSE committee. Prior to joining SSE, Mr. Smith worked in the chemicals sector for both ICI Plc and DuPont in the UK and overseas. He was also a Public Member of Network Rail with a secondary governance role for 2 years. Mr. Smith is currently Chair of the Board of Capstone Infrastructure Corporation an Independent Power Producer in Canada, a non-executive board member of Scottish Water, a member of the Edinburgh University Business School International Advisory Board, an Energy Institute Council Member, a Global IChemE Energy Board member and an advisor to the Energy, Infrastructure and Asset Management industries. He is a graduate of Edinburgh University, holds an MBA from Henley Management College and is a Fellow of both the Institute of Chemical Engineers and the Energy Institute. Emily Spearman is the Head of Process Excellence and Compliance at Ørsted Wind Power, the world leading green energy company. During her time at Ørsted Emily has held the position as Asset Manager of five offshore windfarms and Commercial Manager for Hornsea Project 1, the world’s largest offshore wind farm, currently under construction. Prior to this, Emily was the youngest Associate Director in Engineering Consultancy URS Scott Wilson, where she held leading positions on a number of high profile projects in the environmental and industrial sectors around the world (including, Crossrail and Palm Island, from West Africa to Australia). In her early career she worked onshore and offshore on Oil and Gas rigs with Schlumberger in the UK and USA. Dr Joanne Wade is a sustainable energy expert with 30 years’ experience in energy efficiency and community energy. She is the Chief Executive of the Association for the Conservation of Energy (ACE), a Trustee of the Energy Institute (EI), and Chair of the EI’s Energy Advisory Panel. Her work is currently focused on buildings energy efficiency policy and practice. 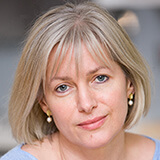 Prior to her current roles, Joanne held posts including CEO of Impetus Consulting, Research Director at ACE and post-doctoral researcher at the University of Oxford’s Environmental Change Institute. Joanne is also Vice President of the European Council for an Energy Efficient Economy and an Honorary Senior Research Fellow at Imperial College London; previously she chaired the EI’s HR Committee, chaired the Board of Trustees of the Eaga Charitable Trust and served as a Commissioner on the London Sustainable Development Commission. Dr Waddah S. Ghanem Al Hashmi graduated from the University of Wales College Cardiff, with BEng Environmental Engineering. He has various other vocational and academic qualifications including a doctorate in Corporate Governance and Leadership from the Bradford School of Management. He is a Senior Director for Sustainability, Operational and Business Excellence with the Emirates National Oil Company which he has worked for the past 20 years in various capacities including Group Manager, Director and Executive Director roles. He emanates from an educated family and background and has published to date jointly and individually 6 different books mainly in the areas of operational excellence, corporate governance and leadership, HSE and even theology. He is passionate about effective energy management and sustainability policy work and has led, chaired and participated as technical member in many committees within the organization he works for and with some of the Government led committees in the past in the areas of energy, crisis management, HSE and even the specification of petroleum products. He is a Fellow of the Energy Institute and an Associate Fellow of the Institution of Chemical Engineers in the United Kingdom. He is a member of the American Society of Safety Engineers (ASSE) in the USA and a Member of the Institute of Directors in the UK. He is a Board Director in both UAE-based and with international Organizations. Sinead is a Regulatory Affairs Advisor at Gazprom Marketing & Trading in London, overseeing gas and LNG market design topics in North West Europe. Prior to this, Sinead worked as a Commercial Analyst for South Hook Gas, the UK’s largest liquefied natural gas importer and has also held commercial roles in the North Sea oil and gas industry specialising in third party infrastructure access, commercial joint-venture management and upstream project analysis. In 2017, Sinead was elected as Chair of the London and Home Counties Young Professionals Network where she led the organisation of speaker events, professional development opportunities for YPN members and enhanced the network’s self-sufficiency. Following this, Sinead was appointed as the Young Professionals’ representative on EI Council. Sinead is an open advocate for STEM initiatives and women’s empowerment. She was also a mentor as part of The Girls’ Network, helping girls from disadvantaged backgrounds gain the confidence to pursue their goals. Sinead holds a BSc in Economics and Finance from the University of Surrey. Prof Simon O'Leary is an experienced business and management academic and executive, with extensive international experience in the energy sector as a professional scientist and engineer, and now in higher education as a lecturer and researcher. He teaches and supervises in the Business and Management Faculty, at undergraduate and postgraduate levels up to PhD, specialising in entrepreneurship-related topics. Simon is a Principal Fellow of the Higher Education Academy and an active researcher, successfully publishing and presenting in academic journals and at international conferences. He is also Director of the Entrepreneurship & Family Business University Research Centre, Chair of the British Academy of Management’s Entrepreneurship Group and Founder/Editor of the Regent’s Working Papers series. Simon has raised research funding and is actively involved in reviewing papers for numerous academic journals, books and conferences. Currently Chair of HEA Fellowships Panels and a former Member of the University Senate and Programme Director. He also helped found the MSc in Oil & Gas Trade Management at Regent’s University London, is an active member of the Energy Institute’s Accreditation and Approvals Panel and a former winner of the Energy Institute’s McAndrew Award. Louise has spent the past 26 years working with energy professionals around the world. Prior to her appointment at the head of the EI in 2003, Louise was Director General of the Institute of Petroleum and Chief Executive of the Institute of Energy. Louise is currently a Council member of the All Party Parliamentary Group for Energy Studies and a Board member of the POWERful Women initiative. She is a former President of the Energy Industries Club, Advisory member of the Energy Policy Board at the University of Birmingham and judge for HM Queen’s Prize for Higher and Further Education. In 2006, she received a Global Leadership in Energy Award and in 2011, the OBE from HM Queen for services to the energy industry. In 2017 she was awarded an Honorary Science Doctorate from the University of Bath. Professionalism in energy is one of the Energy Institute’s key concerns. All individuals, when they join the Energy Institute, agree to abide by the EI’s Code of Professional Conduct. We hope that your experience of our members is a positive one, but if you feel that an EI member is in breach of the terms of the Code, or of the standards of conduct required by a Code of Conduct relating to one or more of any registrations they hold via the EI, we would like to hear from you. In the first instance you should write to the Head of Professional Affairs with details of the member and a description of how you feel that they may be in breach of the EI Code, or any other Code relevant to their registration, together with documentary evidence. The Head of Professional Affairs will acknowledge your complaint within 7 working days. Would you like to work with us at the Energy Institute? In our News Centre you will find the latest news and other content from the EI. Membership of the Energy Institute provides formal recognition of your skills, achievements and expertise, while providing you with a host of resources to help you develop your career. The EI's Benevolent fund exists to provide a range of assistance to those in need. If you are an EI member, former member or a dependant, the fund may be able to help you.